Has The Seattle Eastside Real Estate Market Changed? The Seattle Eastside real estate market is beginning to level off. 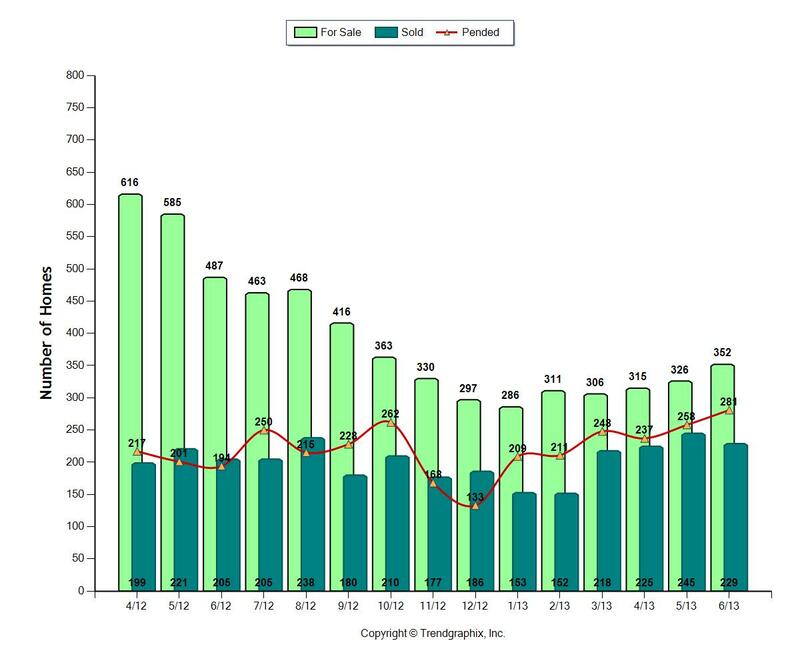 For the first time in months, only about half the homes for sale sold. This is more typical of a balanced market between buyers and sellers, not the hot sellers' market we've seen over the last few months. 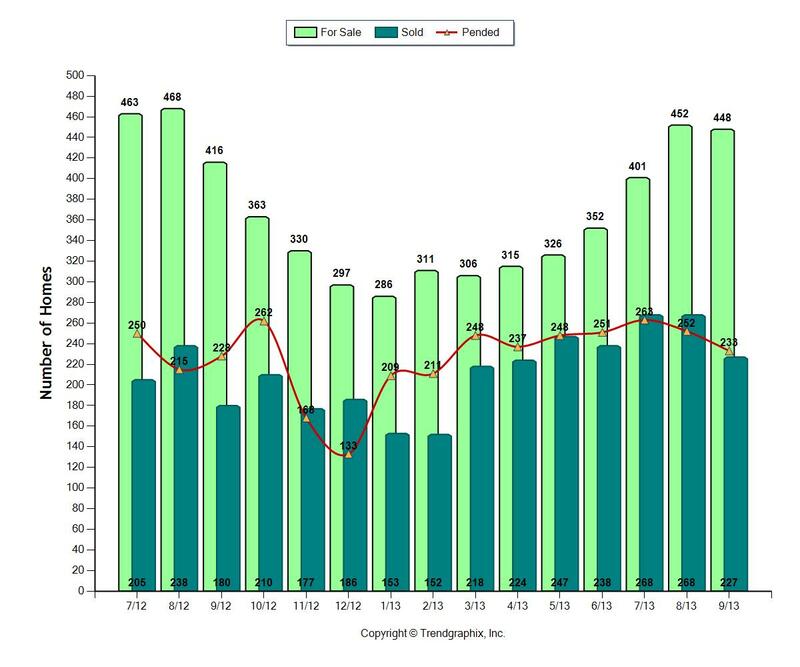 The number of homes for sale is starting to look more like 2012's numbers, although there are more homes selling now than in 2012. The supply of available homes is is almost twice what it was in January of this year. 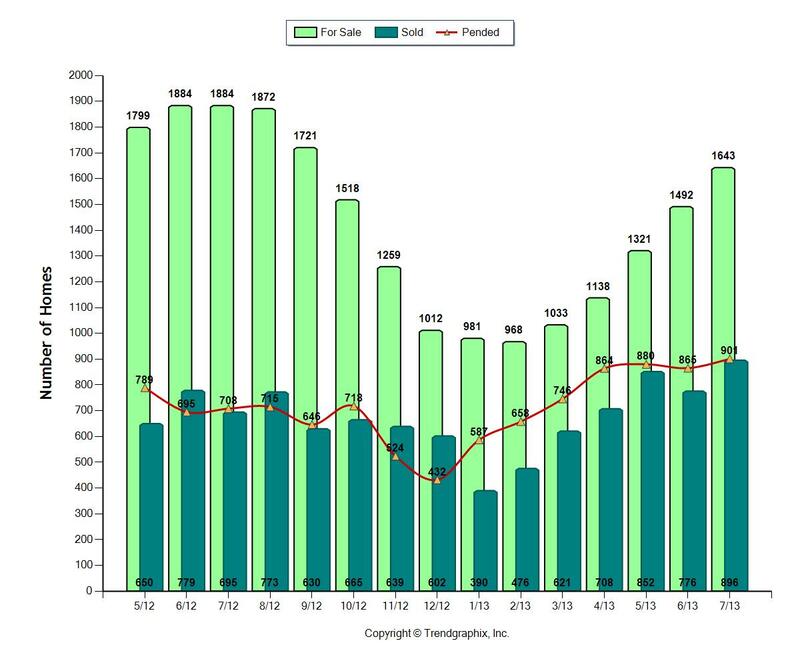 Homes are still selling well as the number of homes sold in August was among the largest this year. 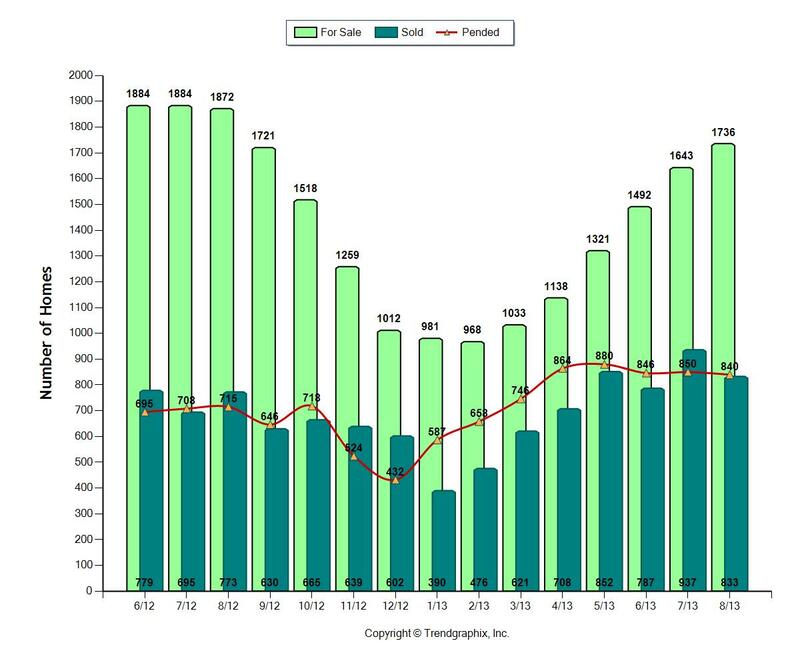 When you compare inventory to previous years, we still have far fewer homes on the market. 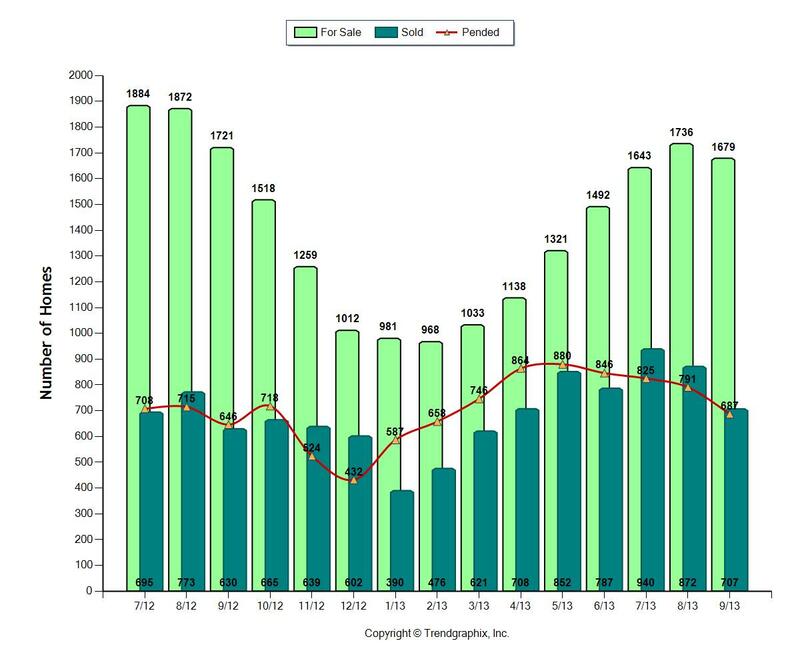 This past August had the fewest number of homes for sale in any August ever! 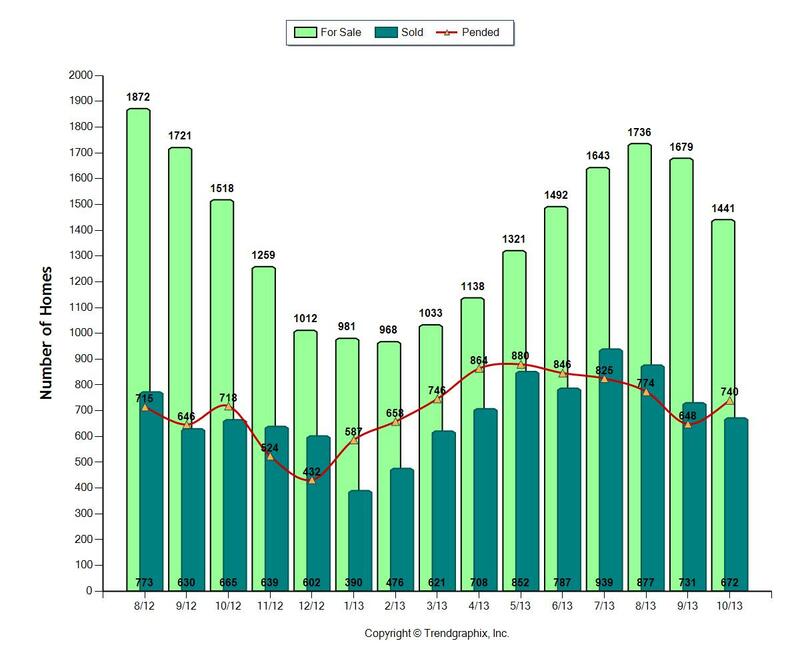 Our market is a more evenly balanced market, between buyers and sellers. This shift started to happen in July, but was more pronounced in August. This means pricing is far more critical than it was this past spring when so few homes were on the market. If a home is not priced right, buyers will pass and wait for another home to come on the market that's priced more competitively. With more homes coming on the market, there are more choices for buyers and less wiggle room in pricing for sellers. Median pricing was only $1000 greater than July's median pricing. Generally, we've seen a much larger increase in pricing from one month to the next this year, so this is another indication the market is leveling off. 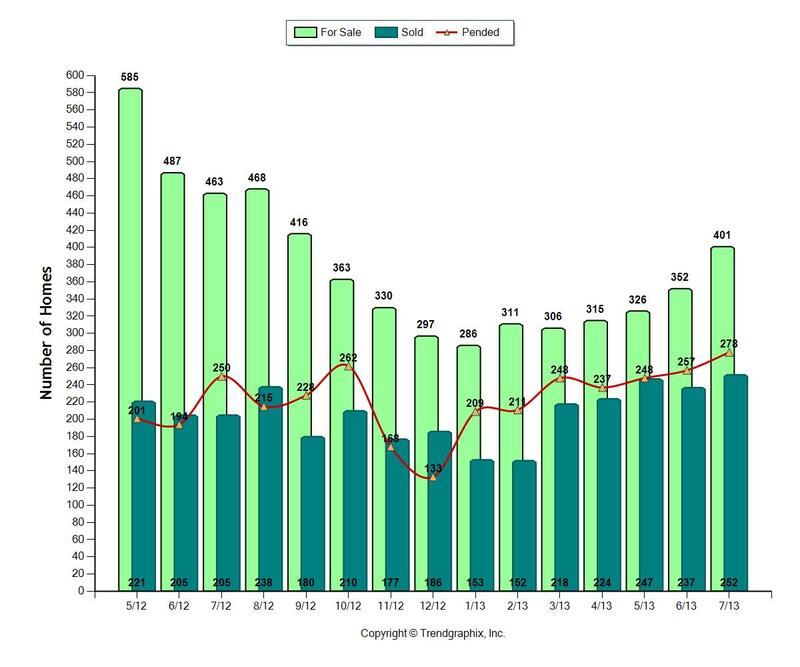 48% of the available homes sold this past August, 38% sold in August, 2012. 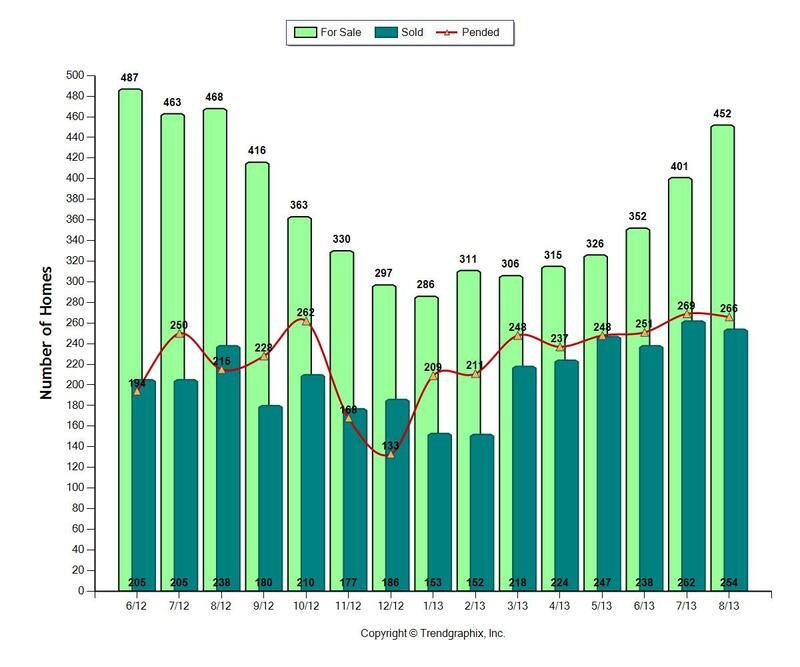 Homes sold in 32 days, down from 63 days in August, 2012. In 2012 median pricing in August was $518,000. In 2013, August's median pricing was $575,000. Our client found the perfect home for an incredible value. We negotiated the sale and a fabulous offer was secured for our buyer. He had instant equity upon closing. But the sale never closed. We'd recommended lenders to him, but he chose to use another lender. Why? Because he would save $1000 in closing costs. Unfortunately, this lender rarely spoke to the buyer and would not return our phone calls. Without this communication, it was clear what was happening. Nothing. After two weeks, our client got nervous and decided to switch to a recommended lender. This lender was getting the job done, but having lost the first two weeks of the transaction time, this lender asked for a week's extension. The seller refused to extend the closing date to accommodate the extra needed time for financing. He decided he'd sold his home for too low of a price and he could get more money for his home. He wanted to put his home back on the market. Our buyer lost this fabulous home and the equity he would've had if he'd been able to close the sale. The equity he lost was worth far more than the $1000 he could have saved on the loan. It's always important to work with a lender who'll get the job done for you. It's even more critical in our fast paced market. Sellers may not be inclined to let you change lenders or extend the closing time. If you change lenders after the offer has been accepted, the seller has to agree in writing to the lender change. You, as the buyer, can't just up and change lenders without the seller's permission, as you could be in default on the contract and lose your earnest money. * What if you need an extension? The seller also has to agree to any extension to the closing date. If the seller doesn't agree in writing to an extension, then the offer dies on the original closing date and the seller is free to sell the home to another buyer. Keep in mind how important it is to use a lender with fair pricing, but also a lender who has a proven track record to get the job done. Get referrals from your Realtor, friends or family. Choose a known quanity to do the job. You could lose a lot more than $1000, you could lose the home you want to buy. *As always, with any legal issues, it's important to seek the appropriate legal advice from an attorney.